The elegant, new 83-foot Island Solitude sailboat is designed for cruising BC's protected coastal waters, offering spacious accommodations for just 12 guests, with a host of environmentally conscious features. Overlooking the Skeena River, famed for its trophy fishing, the lodge features rustic cedar logs, soaring ceilings, heavy beams, knotty wood walls, handcrafted log accents and a sweeping deck. This high-end ecolodge set along a protected saltwater channel features a dramatic river rock fireplace in the central area, plus 26 spacious yet cozy rooms with extra-large beds and evening turndown service. Brand-new for service in 2018, this spacious, finely appointed yacht was crafted by a team of British Columbia boat builders headed by legendary Forbes Cooper, who has completed some 8,500 yachts. At 83 feet long, the Island Solitude is 30 percent larger than our previous sailboat used for this trip, with a faster hull speed and greener, more efficient operations—yet the passenger capacity is still capped at just 12, meaning lots more room for guests. 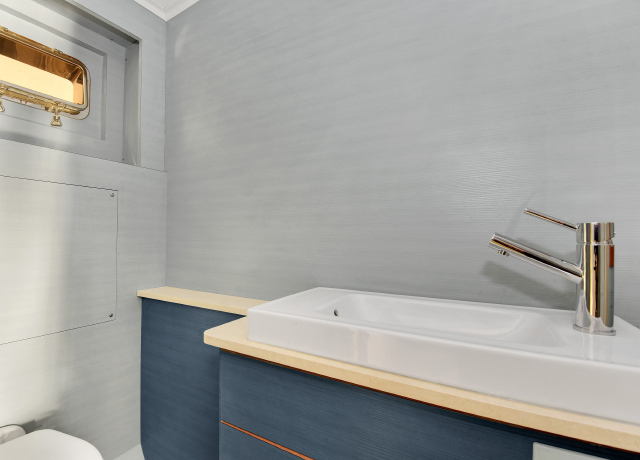 A host of upgrades means exceptional comfort aboard the Island Solitude: All six cabins have en suite bathrooms and are double the size of the previous cabins. All beds are floor-level (no upper berths) with a standard single mattress. 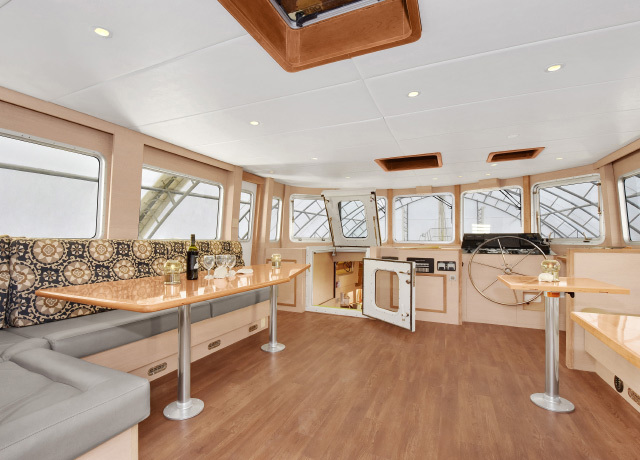 A second stairway aft leads up to the deck, in addition to a stairway up to the wheelhouse area, which provides an open, airy sit-down dining space for the entire group, with 360-degree views. An additional stairway leads down to the stern boarding platform with aft-facing seats for those waiting to disembark for shore excursions. Headroom everywhere has been increased. 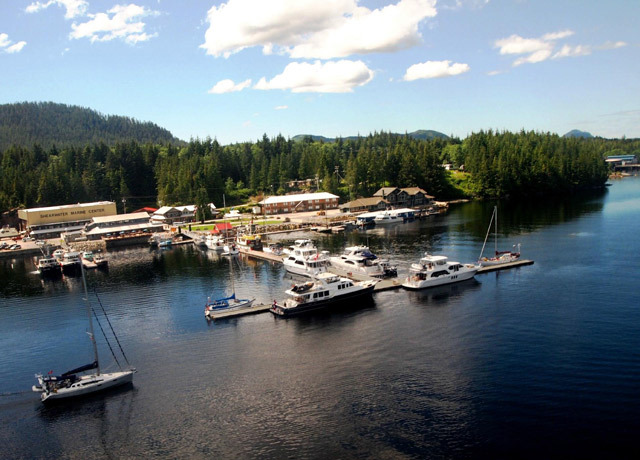 Owned and operated by a company that has set the standard for marine ecotourism along the BC coast for 40 years, Island Solitude provides sets a new standard for environmentally conscious operation. The engines exceed EPA emission standards, while the yacht’s new hull design allows for more efficient travel under sail. Sewage is treated organically with a combination of electricity and salt. 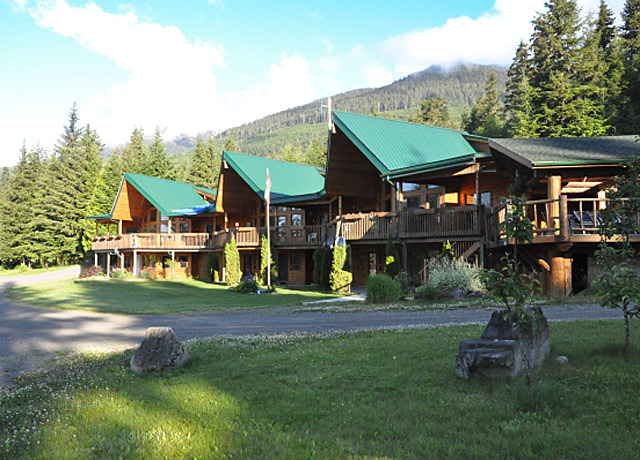 Tucked within dense forest overlooking the Skeena River, world-famous for fishing, Yellow Cedar Lodge epitomizes the rugged atmosphere of the BC wilds while offering a comfortable stay in unique accommodations. Constructed of massive yellow cedar logs in rustic style, the soaring ceilings, heavy beams, knotty wood walls, majestic deck and handcrafted log accents throughout create a dramatic and memorable setting. Most of the lodge's 11 rooms have river views, and all have private bathrooms, beds with heavy duvets, and free wireless Internet access. 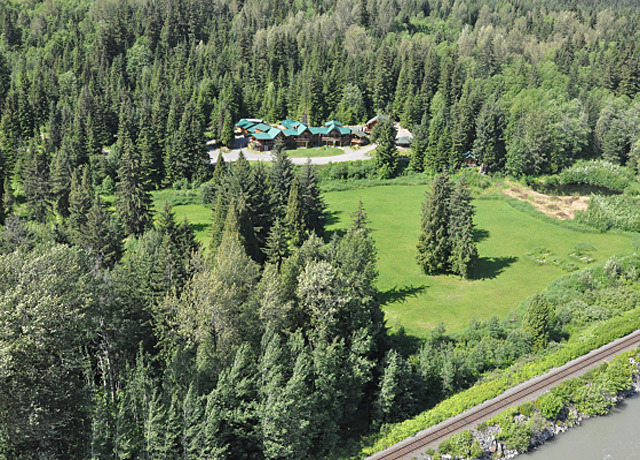 Amenities include a fully equipped gym, TV and game room, lounge, sauna and hot tub overlooking the Skeena River. 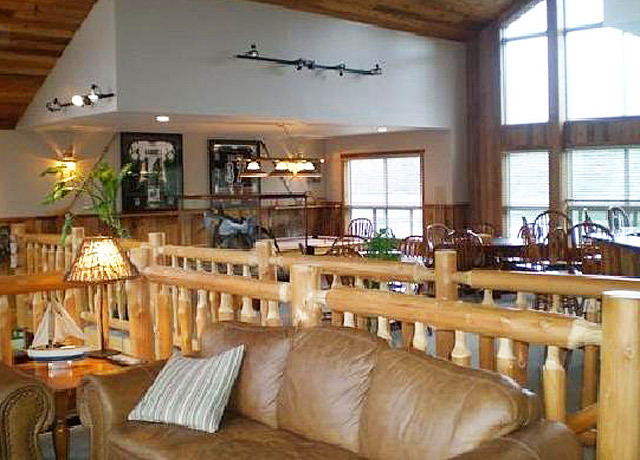 The rustic dining room, warmed by a fireplace, features fine cuisine, and all guests enjoy a freshly prepared homestyle breakfast with their stay. 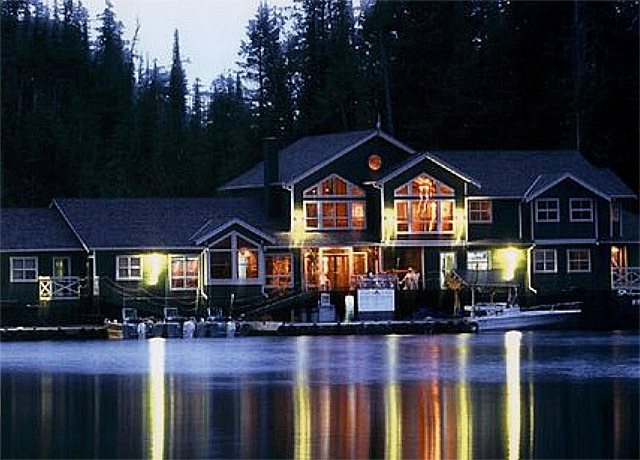 The Shearwater is a high-end fishing and ecotourism resort at the "Gateway to the Great Bear Rainforest" on British Columbia's Central Coast. 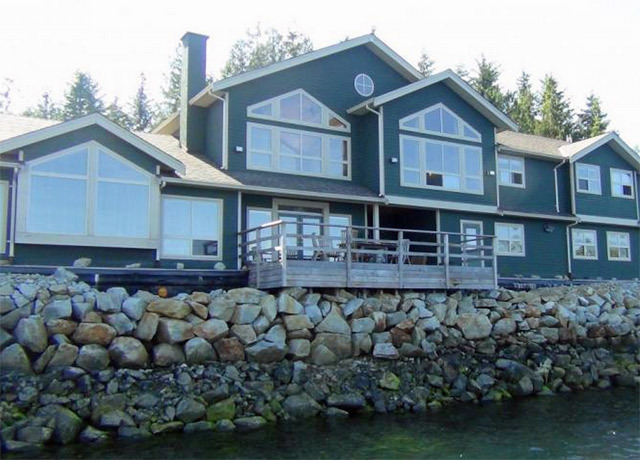 Situated across from Bella Bella on Denny Island, it enjoys a serene setting of exceptional beauty, hugging a protected saltwater channel overlooking forested islands and mountains. 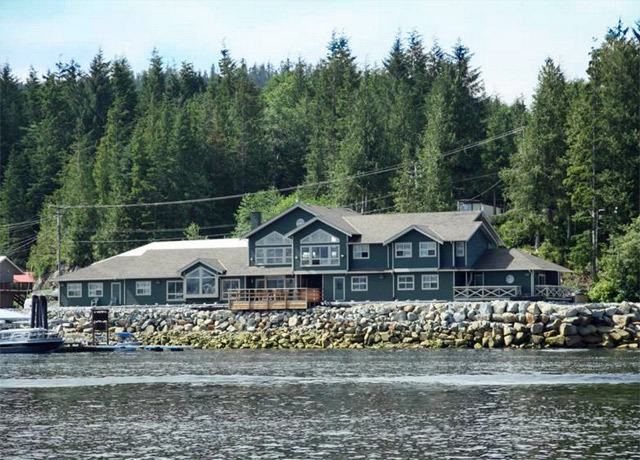 The Shearwater Lodge offers the resort's premier accommodations, housing 26 guests. Spacious yet cozy rooms have en suite bathrooms, extra-large beds, television and coffee maker. Evening turn-down service is available. The lodge's lounge and dining room center on a dramatic river rock fireplace, the perfect atmosphere in which to enjoy executive chef-prepared meals accompanied by complimentary fine wines. Fill out the form below to receive additional information about our Spirit Bears, Humpbacks & Wildlife of BC or give us a call at 800-543-8917. 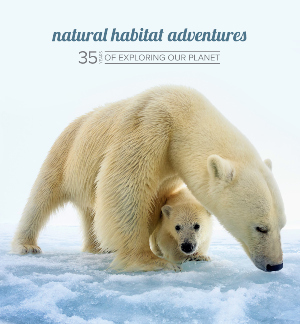 Hi Nat Hab, I’m interested in your Spirit Bears, Humpbacks & Wildlife of BC. Can you please contact me with more information?